The morning after Election Day, I found myself in a very small college town in rural Pennsylvania where people were celebrating the victory of their candidate. That forced me to accept the fact that, more or less, 50% of those who cast their vote have not only supported Trump as next president of the United States, but also changed the political balance in Congress, with all the consequences this entails. What this new landscape reveals has deep repercussions, as aggressive expressions of xenophobia, racism, homophobia, and sexism have been normalized and made acceptable for large segments of Americans. This is the reality that many of us will have to deal with on a daily basis in the most common interactions, from going to school to shopping and even just existing as a visibly different person. I felt combative, more than confrontational. I had been invited to participate in a student workshop and give talks, finding myself reflecting on how the election would shape my role and duty as an educator, a researcher, a public intellectual, a writer, and as a practitioner. Of course, I do not have clear answers and my considerations are personal. I have no intention to tell anybody how and when to work through their own fears, grief, and anger, or how to navigate the future. For me, a core question is: how will I make use of and invest my privilege as a white male of European descent (although an immigrant), whose job is to teach and do research in food studies? What can I contribute as a professional? That day, I participated in a workshop where students were discussing possible -and easily feasible - innovations to shift the way their peers eat in the cafeteria towards more sustainable and healthier models. While we were evaluating different practical interventions, I also moved the conversation toward the gender, class, and race identity issues underlying food-related behaviors, as well as their social and economic consequences in terms of accessibility, affordability, labor relations, and the environment. Later that afternoon, I gave a talk on food, film, and memory, where I tried to show how an apparently innocuous and fun form of popular culture such as food films can actually reflect, support, and reinforce values and practices that are predicated on the framing of whole categories of people as inferior and exploitable. 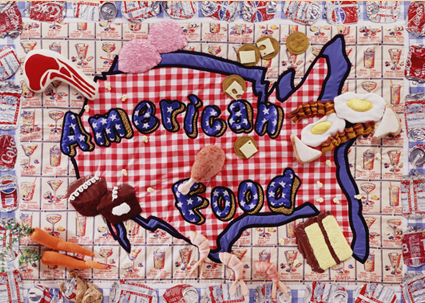 My work focuses on food, which may come across as apolitical but is actually profoundly entangled with power dynamics, social structures, and environmental issues that assume immediate, tangible meanings. As food did not emerge as a priority in the presidential debates and the discussions that surrounded them, it is not easy to gauge the direction of the new administration. However, the promise of greater deregulation, less EPA control, and the overall skeptical attitude towards climate change will move environmental issues connected to agriculture, fishing, and animal husbandry front and center. The new administration's favorable attitude towards the carbon-based energy industry could also slow down the efforts to increase the use of renewable resources in the food system and to shift towards more sustainable models. These issues will become crucial in the negotiations around the upcoming farm bill, where not only will Congress determine the future of US food production, but also the availability of funds to support the most vulnerable sections of the population through school food, SNAP, WIC and other programs. In this context, it is important to emphasize not only structural and economic features, but also the cultural and social aspects that can generate dynamics of oppression and injustice. I believe my first call is to help students and the community at large outside of universities and intellectual circles recognize the relevance of these matters. In food studies, we now have sufficient students, programs, institutions, and relative media visibility to have some impact. Above all, I am afraid I can't enjoy the luxury of separating theory and applied practice any longer. It becomes crucial to pair the insights and the analysis that are central to food studies with hands-on projects and initiatives for change and social innovation. I will be moving my research and activities towards collaborations with designers, agronomists, scientists, engineers, information experts, and media operators, so that my teaching, writing, and doing become expression of a more profound engagement with the new reality. A friend of mine in Brazil reminded me of the Italian politician and theorist Antonio Gramsci's thoughts on organic intellectuals, who share their knowledge and competence to usher change rather than concentrating uniquely on their professional world. It is urgent to devise creative strategies and form inclusive alliances around widely shared concerns in the food system, while questioning the priorities of the elites (which include myself) as well as the interests of the rich and the powerful. This election has brought home that what I make of the emerging political reality is also my responsibility. At least for me, the answer is rolling up my sleeves to get down to work.